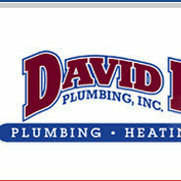 1 Review for David LeRoy Plumbing, Inc.
Just had our old steam boiler,gas water heater and plumbing all replaced. He also hired a sub contractor to install a new chimney liner. Even with that much work, the water was only off for brief periods. I asked lots of questions and had every question answered to my satisfaction. David was great about listening to my preferences and very easy to work with. I was comfortable in the house with them and also leaving them in the house when I wasn't there. Everything was left neat and clean when they left for the day. They were knowledgeable, respectful, and professional and the work is top notch.